Note: Every effort is made to keep the information in this section current. The online catalog (http://catalog.davidson.edu) stays current. The schedule for any semester is published separately on the web. The College must reserve the right to cancel any course if there is insufficient demand or if there are circumstances beyond the College’s reasonable control. Students should consult with their advisers and the Registrar’s Office in planning their program. New students in particular should consult the Registrar’s Office pages on the Davidson College web site, www.davidson.edu. The liberal arts curriculum at Davidson College is dedicated to the intellectual and personal growth of students. This curriculum affirms the intrinsic worth of a broad exposure to intellectual and artistic achievement and strives to nurture students’ capacities for knowledge, understanding, judgment, and compassion. Teaching is the primary activity and responsibility of the faculty, who are also active in research and service. Developing skills in the methods by which knowledge is acquired, evaluated, and appropriately applied is the primary activity and responsibility of students. Students also may develop an interdisciplinary major through the Center for Interdisciplinary Studies. Davidson allows double majors. In order to make connections among courses and disciplines, the curriculum includes opportunities for students to pursue an interdisciplinary minor or a minor as well as a major. An interdisciplinary minor is a cluster of courses which address a specific area of study. A student may choose an interdisciplinary minor to complement the major, but interdisciplinary minors are not required. Davidson offers interdisciplinary minors in Applied Mathematics, Archaeology, Biochemistry, Communication Studies, Computer Science, Digital Studies, East Asian Studies, Environmental Studies, Ethnic Studies, Film and Media Studies, Genomics, Global Literary Theory, International Studies, Medical Humanities, Middle East Studies, Neuroscience, and South Asian Studies. Requirements for interdisciplinary minors are described in the section following the Theatre Department course listings in the print catalog and in the Academic Departments and Interdisciplinary Minors section in the Online Catalog. Students pursuing an interdisciplinary minor may not pursue a double major or a minor. Some departments or programs offer a minor, a designated set of five or six courses. Students are allowed to declare one and only one minor to the appropriate academic department by no later than October 1 of their senior year. Students declaring a minor may not also declare an interdisciplinary minor or a second major. A minimum overall 2.0 cumulative grade point average and a minimum 2.0 average on all courses counted toward the minor are required. Specific requirements for minors are listed after major requirements in the departments in which they are offered. Davidson offers minors in Anthropology, Arab Studies, Astrophysics, Chemistry, Chinese Studies, Computer Science, Dance, Economics, Educational Stuies, Experimental Physics, French and Francophone Studies, Gender and Sexuality Studies, German Studies, Hispanic Studies, Mathematics, Music, Philosophy, Physics, Religion, Russian Studies, and Thearte. The college offers courses but no major, minor, or interdisciplinary minor in Dance, Ethics, Greek, Humanities, Latin, Military Science, Physical Education, Self Instructional Language and Writing. Students have various opportunities for independent and interdisciplinary studies, study abroad, and participation in off-campus programs. The Davidson curriculum stresses competence in reading, writing, fundamental mathematical skills, oral communication, and technological literacy. Students develop oral communication skills through class discussion, seminar presentations, and formal oral communication courses. To develop their skills in writing and analysis, students may select one of the following options to satisfy the college composition requirement: a designated writing course (WRI 101), with a variety of specific topics offered or the four-course Humanities sequence (HUM 150, 151W, 250, 251). The writing courses (WRI 101) normally require completion of five to seven short writing assignments and a longer research paper. Readings for each course span and exemplify different approaches to writing. The courses address elements of style and revision, processes of peer review, word-processing skills, library-based and web-based research techniques, and conventions of documentation. Computers are used in most laboratory science and mathematics courses, and in individual courses in the social sciences and the humanities. Students interested in the degree of competence expected in individual courses may consult the instructor or the course syllabi available in the Office of the Vice President for Academic Affairs and the library. Davidson offers a Bachelor of Arts and a Bachelor of Science degree. Requirements for the bachelor’s degree are outlined below. the ways scholars share information and ideas with one another and with the public. We expect that these requirements will assist students in applying their own and others’ knowledge responsibly in their civic and professional lives. In courses satisfying the requirements, students will examine complex problems through diverse methods of inquiry, understand how different kinds of knowledge are generated, and identify appropriate standards for evaluating knowledge in different realms. The requirements also provide knowledge of public and scholarly concerns from multiple viewpoints, respecting both tradition and creative new approaches. The faculty hopes that students who take such courses early in their college curricula will address these questions frequently during their time at Davidson. The faculty supplements the distribution system with requirements in cultural diversity, in foreign language, and in writing. In prescribing a course on one or more cultures other than the dominant cultures of the U.S. or Western Europe, the faculty guides students to explore cultural differences from an academic perspective. In prescribing foreign language study, the faculty guides students toward a foundation for an international education, as well as an understanding of how language works, both as a mode of human communication and as a way of constructing the world in different social and cultural contexts. In prescribing a course in writing, the faculty guides students toward a foundation for making clear and sophisticated arguments about complex intellectual issues. 1. Historical Thought. Courses that seek to understand past human societies and how those societies have evolved over time. Examining documents and/or artifacts to construct broad narratives about the past and how human societies have evolved over time, these courses reveal the constructed ways in which we understand the past and suggest the contingency of how we understand the present. 2. Literary Studies, Creative Writing, and Rhetoric. Courses that develop skills for creating and analyzing the complexities of language, form, and aesthetics through which speakers and writers represent the world or express their ideas about it. These courses explore written and oral forms of expression that invite creative interpretation. 3. Mathematical and Quantitative Thought. Courses that study mathematical, programming, or statistical concepts. Some of these courses instruct students in making and analyzing numerically-based claims about reality; others develop knowledge based on mathematical proof and problem-solving. 4. Natural Science. Laboratory courses that study the natural and physical world through direct observation, experimentation, and/or analysis of empirical evidence. In these courses students encounter concepts and models, and test them against measurements of natural and physical processes, differentiating knowledge based on testable explanations of phenomena from other kinds of knowledge. 5. Philosophical and Religious Perspectives. Courses on fundamental questions, philosophical reasoning, and religious thought and practices. These courses reflect on questions about knowledge, existence, or the social and ethical world; reasoning about the derivation of positions, beliefs, or values; or practices forming individual or community identity. 6. Social-Scientific Thought. Courses that employ systematic analysis of qualitative, quantitative, and/or ethnographic information drawn from the human world. These courses develop, test, and explain concepts and theories about human behavior, either individual or collective, and differentiate knowledge derived from observations of the human world from other sorts of knowledge. 7. Visual and Performing Arts. Courses that teach students to represent or express ideas, or formulate arguments about how the world is represented in music, theatre, visual art, dance, and screen media. These courses help students build conceptual vocabularies for interpreting and communicating ideas about such works and the formal and aesthetic concerns related to them, and/or understand how others have interpreted and communicated these ideas in historical contexts. 8. Liberal Studies. Introductory courses accessible to first- or second-year students without prior background in the field that do not fall neatly into one of the seven categories above. Cultural Diversity. A course addressing cultures other than the dominant ones of the U.S. or Western Europe. Foreign Language. The third-semester course (or its equivalent) in the acquisition of a foreign language. The requirement may be satisfied by an approved transfer course at equivalent level, or by equivalent proficiency as determined and certified by the appropriate Davidson foreign language department. Courses offered through the Self-Instructional Language Program do not satisfy the foreign language requirement. A student who satisfactorily documents that English is not his or her first language satisfies the foreign language requirement through the writing requirement. It is strongly recommended that the student complete the foreign language requirement before entering the senior year. Writing 101. A first-year course focused on writing in the liberal arts. The course must be completed satisfactorily before the beginning of the second (sophomore) year. AP or other pre-college courses may not be used to satisfy the writing requirement. 2. Be of good character and conduct, as certified by the Dean of Students, and discharge all college financial obligations to the satisfaction of the Controller. 3. Complete satisfactorily 32 courses, one-half in residence at Davidson College. The period of residence must include the senior year (at least the final 7 courses). 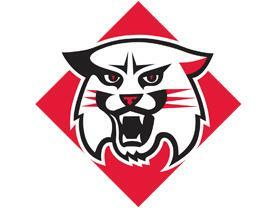 Courses in off-campus programs officially sponsored by Davidson College are considered to be courses in residence. 4. Complete all requirements for a major field of study, including an average grade point average of 2.0 on the courses counted toward the major. For the computation of the major grade point average, when a course is repeated, only the most recent grade counts. 5. Satisfy the requirements in Physical Education as follows: Davidson 101, required of all students including transfers, during their first semester at Davidson; two (2) Lifetime Activity credits; and one team sport credit. 6. Note that no single course satisfies more than one requirement, except that a course fulfilling a distribution requirement may also fulfill the cultural diversity requirement, and language courses beyond 201 may fulfill a distribution requirement and/or a cultural diversity requirement as well as the foreign language requirement. Courses fulfilling distribution requirements may also fulfill major, minor, or interdisciplinary minor requirements. A course fulfilling the writing requirement may not fulfill major, minor, or interdisciplinary minor requirements. The Registrar may designate a transfer credit (including AP or other pre-college credit) as satisfying a foreign language, distribution, composition, or cultural diversity requirement following, as occasion demands, consultation with appropriate department or program chairs. 1The Humanities Program would receive an exception to this condition; that is, a three- or four-course sequence in Humanities could fulfill three or four categories. Courses in the Writing Program could not fulfill the categories. 2Certain departments offer courses with more than one course prefix (e.g., CLA, LAT, and GRE in the department of Classics, and MAT and CSC in the department of Mathematics). Courses with different designations, however, are sufficiently different to meet the goal of breadth across departments/programs, and at other institutions these courses are often taught in separate departments. Many departments that offer a major also offer an Honors Program. Students with an overall grade point average of 3.2 are eligible for consideration for honors by their department as early as the spring semester of the sophomore year, but no later than the fall semester of the senior year. Each department may impose additional individual requirements for honors; students should consult the major departmental listing in the catalog and their major adviser for details. Candidates for honors who maintain at least a 3.2 overall grade point average and at least a 3.5 average in the major, and who receive the recommendation of their major department are graduated with honors or high honors in the department of their major. 1. For entrance to the sophomore class or the third semester, the student must have completed seven courses (8 courses represent normal progress), including the composition requirement. A student who has not earned a 1.60 cumulative grade point average by the beginning of the first semester of the sophomore year will be placed on academic probation. A student on academic probation receives special advising services through the Dean of Students’ Office and the academic adviser. 2. At the time of entrance into the fourth semester (second semester sophomore year) a student with a cumulative grade point average of 1.7 or below at the end of the third semester must immediately make an appointment in the office of the Dean of Students to assess clearly the steps necessary to achieve the average of 1.8 required for entry into the junior class (fifth semester). 3. For entrance to the junior class or the fifth semester, the student must have completed 15 courses (16 courses represent normal progress) and must have a cumulative grade point average of at least 1.80. In addition, the student must have completed five of the eight distribution requirements (described above under “Requirements for Graduation”), should have completed three of the four required credits in physical education including Davidson 101, and must have officially declared a major. 4. For entrance to the senior class or the seventh semester, the student anticipating graduation in May must have completed 24 courses; the student may become a senior anticipating August graduation with 22 courses. Students who do not meet the appropriate minimum Standards of Progress are ineligible to return for the fall semester. Some course deficiencies existing at the end of an academic year (May) may be made up through a summer contract course with a Davidson faculty member or through approved transfer credit. (Note, however, that transfer credits do not affect the grade point average.) The Curriculum Requirements Committee specifies Standards of Progress for students whose records are irregular and who do not fit the requirements for one of the categories above. The Executive Committee of the Faculty may require a student whose academic work is unacceptable to withdraw from Davidson at any time. No student who has been required to withdraw is guaranteed readmission. A student wishing to return must apply to the Dean of Students for readmission. The Executive Committee of the Faculty states the minimum conditions under which the student may return. Davidson seeks to lay intellectual foundations on which students build an understanding of the emerging world of the twenty-first century so that they may take their places as leaders in it. Davidson insists all students have the experience of studying societies or cultures that differ from those of the United States or Western Europe. Required study in foreign language and in diverse cultural viewpoints is incorporated into the curriculum. For students wishing to pursue international studies beyond the general requirements, curricular and programmatic opportunities exist to allow for international emphasis. The college expects many facets of the Davidson experience - studying abroad, enjoying friendships with international students, hearing speakers of note, taking part in conferences on world affairs themes - to contribute to the process of producing graduates with a world vision. Some of the components of Davidson’s international studies programs are described below. Davidson strives for distinction among national liberal arts colleges in its emphasis on understanding the world at large and preparing students for the challenges of national and international leadership. Recognizing that international awareness is critical in today’s interdependent world, the college inaugurated the Dean Rusk Program in 1985 to provide a cornerstone for efforts to enhance international offerings on campus and to “give each student, first, an informed awareness of our whole planet, and second, a direct knowledge of at least one foreign area.” The Program, named for Davidson’s distinguished alumnus who was Secretary of State during the Kennedy and Johnson administrations, serves as an organizing mechanism for expanding internationalism across the Davidson experience. The Dean Rusk Program fosters initiatives designed to ensure that Davidson students leave the college with a broad understanding of all dimensions of global affairs - political, cultural, social, economic, and historical. It sponsors visits by experts on international issues, hosts conferences and cultural events, and counsels students about international travel, internships, and careers. It encourages pursuit of an international curriculum through the college’s interdisciplinary minor in International Studies, a major at the Center for Interdisciplinary Studies, area studies, or courses in various academic departments. The Dean Rusk Program coordinates Davidson’s chapter of the Phi Beta Delta Honor Society for international scholars. In support of international experience, the program provides grants for student and faculty research, study, or service abroad, including medical volunteer work in developing countries. The Dean Rusk Program serves as a catalyst for dialogue on world issues in the greater Charlotte business, professional, cultural, and educational communities through programs it organizes in the Charlotte area and through a speakers program in local schools. It also promotes cultural interaction between American students and foreign nationals studying at the college. Student and Faculty Advisory Committees help ensure that the Dean Rusk International Studies Program is attuned to student interests and serves the college’s educational objectives. Members of the Student Advisory Committee also organize a number of international activities on campus and in the community. In addition to its grant-making and campus programming activities, the Dean Rusk Program also includes the offices of the International Students Adviser and the Study Abroad Coordinator. The Dean Rusk Program is located in the heart of campus on the first floor of Duke Residence Hall. Reflecting its mission to build global bridges between students’ lives inside and out of the classroom, the Dean Rusk Program is the only curricular or co-curricular program located in a residence hall. Its lounge, kitchen, and courtyard provide valuable programming resources to internationally-themed student organizations and residential communities. Davidson College defines international students broadly to include dual citizens, Americans living abroad, foreign nationals, and permanent residents. This broad definition capitalizes on the diversity and wealth of experiences international students bring to campus. The International Student Office provides advising on immigration regulations and work permits, coordinates international student orientation, aids with student advocacy, and promotes interaction among international students, the college, and local communities. Also available is guidance on cultural adjustments as well as academic, personal, and financial concerns. Services offered are as diverse as the students and are meant to encourage a meaningful educational experience while students achieve personal and academic goals. The Davidson International Association, composed of international and domestic students who are interested in international issues and programming, holds weekly meetings, organizes excursions in the surrounding area, and represents international interests on campus. Davidson encourages students to study in other countries and offers the following specific opportunities: semester or academic year in Tours, France; semester or academic year in Madrid, Spain; semester or academic year in Berlin, Germany; fall semester programs in India, Peru, and China, and a spring semester Classics program. The cost of semester and academic year programs, including tuition, room, board, and some travel expenses, is approximately the same as for a similar period at Davidson. Students receiving financial aid may usually apply part or all of it to the cost of the year or semester study abroad program. The College also offers a summer archaeological dig in Cyprus and summer programs in England, Ghana, Spain, and Zambia (see descriptions below). Students may also study abroad with programs administered by other approved third party providers; however, the College seeks to direct students toward quality programs that support their Davidson education. Balancing institutional needs, including course offerings and student housing, also compels the College to manage the number of students studying abroad in a given semester. Beginning in the fall semester, 2011, the College reserves the right to set limits on the number of students who may study abroad with third party programs in the fall and spring semesters. Also beginning in fall 2011, students who wish to receive academic credit for work done as part of a third party study abroad program must select from a list of programs that have been approved by the International Education Committee. The list of approved programs is available online at www.davidson.edu/studyabroad or in the Study Abroad Office, as is a more extensive description of policies designed for students who wish to make study abroad a part of their Davidson education. There is a non-refundable administrative fee of $350 for students participating in a third party program for a semester or a year. DAVIDSON IN FRANCE: Davidson students may study for an academic year as fully matriculated students at the Université François Rabelais or for a semester at the Institut de Touraine in Tours. With a population of 250,000, Tours is the cultural capital of the Loire Valley. Known for its historic towns, Renaissance châteaux, and striking natural beauty, the Val de Loire has been designated a World Heritage Site by UNESCO. The city of Tours boasts a rich and varied architectural heritage with the old city - Le Vieux Tours - attracting students and visitors alike to its lively Place Plumereau. A network of regional trains connects Tours to Orléans, Chenonceaux, Amboise, and other nearby sites of interest. Paris and its attractions are fifty-five minutes away by high-speed train. The program typically begins in September for academic year and fall semester students with a four week language course in Paris, after which students go to Tours, where they enroll in classes. The program ends around December 20th for fall semester students. Spring semester students are in France from January until April, including a two-week stay in Paris and elsewhere (examples: Morocco, Corsica). The academic year program ends around late May. Students typically earn four course credits for a semester and eight course credits for the academic year. A member of the Davidson faculty serves as resident director to assist with academic and personal matters and to teach one course per semester. All students live with families, where they have two meals a day. Applications from non-Davidson students are welcome. DAVIDSON/DUKE IN GERMANY: Offered in conjunction with Duke University, the program allows students to study in Berlin in the fall or spring semester or for the full academic year. The fall program is based at Humboldt University; in the spring, students may attend courses at any of the three major universities in Berlin: the Humboldt University, the Free University, or the Technical University. A resident director assists with academic and personal matters and teaches one course per semester; the staff of Davidson’s Department of German Studies works with students to structure the program that best meets their needs. The fall program begins in late August and runs through mid-December; the spring program begins in early February and ends in late July. For students on the full academic year program, there is a six week break between semesters. Students typically earn four course credits for a semester and eight course credits for the academic year. There is also a six-week summer program, typically yielding two course credits. For the fall and spring programs, no prior study of German is required. DAVIDSON IN CHINA: Based in Shanghai, the Davidson in China program is affiliated with the School of Social Development and Public Policy at Fudan University (one of the oldest and most prestigious of Chinese universities). The program includes classes taught by Davidson College and Fudan University faculty, as well as a course based upon group visits to different sites of historical interest through China. While in Shanghai, students live in the Foreign Students Dormitory at Fudan University (the main Handan campus, in the Wujiaochang neighborhood of Shanghai). DAVIDSON IN INDIA: The South Asian Studies Program offers an opportunity to study and travel in India during the fall semester. Following a one-week orientation session at Davidson, students travel to India with the Davidson faculty director. In India, time is split between extended stays at our host institution, Madras Christian College in Chennai, and travel to a variety of sites in both southern and northern India. Normally, the academic program consists of two core classes on Indian history and culture, as well as two additional courses focusing on a theme chosen by the resident director. Those themes change every year. The Semester-in-India program is open to sophomores, juniors and seniors. Applications from non-Davidson students are welcome. DAVIDSON CLASSICS SEMESTER ABROAD: This four course program studying the art, archaeology, history, and literature of classical antiquity is conducted on location in Greece, Italy and Turkey; at the discretion of the director, sites in other countries may be included as well. Open to all Davidson sophomores, juniors, and seniors; limited to sixteen participants. Not offered in 2016. DAVIDSON IN PERU: The Peru semester program is open to Davidson and non-Davidson students. Students spend a semester living with Peruvian families in Arequipa, a provincial, colonial city which sits at roughly 7,000 feet above sea level. Classes are held at the Universidad Católica de San Pablo, a local private university where students also may participate in extracurricular activities. Students choose from a selection of program-designed courses including Spanish language instruction taught by San Pablo professors, a course taught by the resident Davidson professor, and/or the full complement of regular university courses offered to all the university’s students. Students also can audit courses offered at the university. DAVIDSON IN SPAIN: In the spring of 2014, Davidson launched a new program in Madrid, Spain. Located in the geographical heart of Spain, Madrid is the nation’s capital and part of the Comunidad de Madrid, bordered by the autonomous communities of Castilla-La Mancha and Castilla y León. With a population of 3.3 million, it is the third largest city in the European Union, after London and Berlin. Founded in the 9th century, Madrid has preserved much of its historic feel and yet still boasts a modern, cutting-edge infrastructure. The Davidson in Madrid program offers students the opportunities to study at one of Spain’s most prestigious universities. Students live in homestays in downtown Madrid and participate in mandatory local excursions as part of the orientation program, as well as on weekend excursions throughout the semester. DAVIDSON IN CYPRUS: In some summers, Davidson sponsors a multidisciplinary archaeological project on the island of Cyprus. The program includes hands-on training in the field (excavation and survey), lectures given by the project director and other visiting or resident specialists, visits to archaeological or historical sites and museums on weekends, and extensive interaction with the local residents of Athienou. The program is open to all classes and carries one course credit. Applications from non-Davidson students are welcome. DAVIDSON IN ENGLAND (THE CAMBRIDGE PROGRAM): A six-week summer program at Magdalene College of Cambridge University is jointly sponsored by the Departments of English and History for up to twenty students. British lecturers and tutors lead the course of study, which explores the history and literature of Britain from the late eighteenth through the early nineteenth century. The curriculum emphasizes topics that take advantage of the students’ presence in Britain and ability to experience their subjects first-hand, encouraging them to visit the sites of poets’ inspiration, novels’ settings, and history’s memorable events. Participants in the program earn one course credit, awarded for either English 370 or History 390, which counts toward major requirements in either department. A Davidson English or History professor serves as resident director. Students majoring in all fields of study are encouraged to apply. Applications from non-Davidson students are welcome. DAVIDSON IN GHANA: This six week program is designed to immerse students in modern and traditional Ghanaian life. The program includes two course credits, a service project, and excursions into other regions of Ghana. The classes are taught by University of Cape Coast professors and artists. The program is limited to fifteen participants and is offered as enrollment warrants. Applications from non-Davidson students are welcome. DAVIDSON IN SPAIN: Davidson offers a five-week summer program in Cádiz, Spain. After a week of group travel through Spain, students take two courses in Cádiz while living with host families. Specific course credits depend on the student’s level of preparation. Applications from non-Davidson students are welcome. DAVIDSON IN ZAMBIA: This 4-week summer experience offers students an opportunity to work and study at a mission hospital in Mwandi, Zambia. Mwandi is a community of about 8,000, located on the northern fringes of the Kalahari Desert along the Zambezi River. It is approximately 150 miles west of Livingstone, Zambia, and Victoria Falls, Zimbabwe. Students participating in this experience have the opportunity to work with Zambian doctors and health care staff in the Mwandi mission hospital and in bush clinics in surrounding communities. Students learn about diseases and other health concerns, (e.g., malnutrition) that are prevalent in Africa. Preparation for the summer experience begins during the spring semester at Davidson or continues with a course during the following fall. Students enroll in a seminar course, which concentrates on the study of infectious diseases and treatments for those diseases. In addition, students learn about the culture and history of Zambia. SCHOOL FOR FIELD STUDIES: See information under the Department of Biology. The South Asian Studies Program is an interdisciplinary program that enables students to study India, Pakistan, Bangladesh, Sri Lanka, Nepal, and Bhutan, which together constitute a region in which a fifth of the world’s population is concentrated and which serves as the home of some of the world’s oldest and richest cultural expressions. More than a dozen courses on the region are taught by faculty members representing the academic perspectives of art, history, religion, and sociology. Instruction is also available in Hindi through the Self-instructional Language Program. Davidson offers a Semester-in-India Program based in the Chennai region. In 1970, the college was accepted as a member institution in the Library of Congress Public Law 480 English Language Materials Program, which now brings to Davidson’s library numerous books, monographs, and English-language periodicals published in India, Bangladesh, and Sri Lanka. Competence in a foreign language is essential to international mobility and understanding. While Davidson maintains strong programs in French, German, Spanish, Russian, Arabic, and Chinese, it also offers a Self-Instructional Language Program (SIL) that enables qualified students to study less commonly taught languages for which classroom instruction is unavailable. Each offering is an intensive audio-lingual course utilizing appropriate texts and audio/video materials, combined with three hours of small group work per week with a native speaker. The emphasis is on the spoken language with some work on basic reading and writing skills. A final oral examination, which forms the basis for the semester grade, is conducted by a specialist, usually invited from another institution. The languages offered depend on the current availability of native speaker conversation partners and appropriate materials. Self-Instructional Language Program courses do not satisfy the foreign language requirement or the cultural diversity requirement. Normally, participants must satisfy the foreign language requirement before enrolling in a SIL course. An additional fee is required. For more information, see the section about the program under Courses of Instruction. D. Regularly assessing students’ work as writers. The Program also supports the work of the Davidson Writing Center, which provides students free-of-charge consultations on any aspect of their written work - from planning, to drafting, to revising. The Program also offers workshops and symposia for faculty who currently teach writing courses or plan to teach them in the future. Many Davidson graduates continue their education at graduate or professional schools. The sound liberal arts education that Davidson offers serves as an excellent preparation for further study or for entering a career directly following graduation. Students who have definite plans for graduate or professional school are urged to become familiar with graduate school admission requirements and to consult with their advisers early about the best program to pursue. In general, graduate school standards are high. Applicants are expected to have done undergraduate work of good quality, to have a reading knowledge of at least one foreign language, and to make acceptable scores on the Graduate Record Examination. PRE-MEDICINE (PRE-DENTISTRY): In general, pre-medical and pre-dental students complete the same course of study. Medical schools in particular recommend that pre-medical students be as academically diverse as possible. With its strong tradition in the liberal arts, Davidson College supports this recommendation in three ways. First, all Davidson students are required to take classes in diverse academic disciplines. Second, pre-medical and pre-dental students may major in the department of their choice. Third, pre-medical and pre-dental students, whether they major in the sciences or in other areas, are encouraged to take a variety of courses outside their major. a. Coursework - Pre-medical and pre-dental students should take the following courses: Biology 111 and 112 or Bio 113 and 114; Chemistry 115, 220 or 240, 250 and 350; Physics 120 and 220 or 130 and 230. As most medical strongly recommend a Biochemistry course, pre-meds should also plan to take either Bio 303 or Chemistry 230. Some medical schools have a mathematics requirement and additional required and/or recommended courses. All medical school course requirements are found at www.aamc.org/msar; a modest fee is required for access to this web site. Requirements for dental schools are listed in Admission Requirements of U.S. and Canadian Dental School, a publication of the American Association of Dental Schools. b. Medical College Admission Test (MCAT) - Medical schools require all candidates for admission to take the MCAT, an exam that is administered multiple times from January to September of each calendar year. This electronic exam, which should not be attempted before all premedical courses are completed, is typically taken in the spring of the junior year. If not satisfied with the results, students may retake the MCAT in the summer of the rising senior year without delaying application to medical school. Dental students take the Dental Admissions Test (DAT), which is offered year round and is self-scheduled by the student. c. Pre-medical Advisory Committee (PAC) Recommendation - The Committee, which is chaired by the Director of Premedicine and Allied Health Professions, evaluates pre-medical and pre-dental students. It is highly recommended that all students, preparing to apply to medical or dental school, take advantage of the PAC evaluation process. This evaluation ordinarily takes place in the junior year but it is offered to seniors and alums. Humanities and Social Sciences - Academic diversity can be achieved by selecting courses in the languages, fine arts, and social sciences. Courses in academic disciplines such as Sociology, Psychology, and Statistics are especially recommended for optimal preparation for the new Medical College Admission Test. Medical Humanities - Students must understand the major controversies and dilemmas facing American healthcare. Medical Humanities offers interdisciplinary courses in the theory and practice of medicine. Advanced Biology, Chemistry, and Neuroscience - Courses in these disciplines help students build vocabulary and further their understanding of concepts important in medical and dental studies. a. Hospital or Clinical Experience - Enjoying work in a medical setting is essential to a successful medical or dental career. Medical Humanities offers “Issues in Medicine” and “Health Care Ethics” courses which incorporate internships in area hospitals and clinics. Physicians, dentists, and other healthcare professionals in the Davidson area routinely provide shadowing opportunities to students interested in health-related careers. International opportunities are available through the Dean Rusk International Studies Program. b. Service Experience - Service to humanity is one of the highest ideals of the medical profession. The Office of the Center for Civic Engagement provides many opportunities to serve the needs of communities around Davidson College. c. Study Abroad - Foreign travel adds immeasurably to a student’s education and personal growth. Students who plan to study abroad for a semester or in the summer must plan for it early in their studies at Davidson College in order to complete all course requirements in a timely fashion. d. Research - The advancement of medicine and dentistry depends on an understanding of basic science research while research in general allows students to develop critical thinking and analytic abilities. Many research opportunities are available in the science and social science departments at Davidson College and with collaborators and mentors in laboratories and clinics outside Davidson. a. Director of Premedicine and Allied Health Professions - The pre-health director is the adjunct adviser for all pre-medical and pre-dental students and assists in all matters related to preparation for admission to professional school. It is recommended that students consult with the director early in their careers at Davidson and as often as possible. The pre-health director also provides advice to students seeking careers in other health professions such as nursing, physical therapy, physician assistant, pharmacy, etc. b. Alpha Epsilon Delta (AED), the Minority Association of Pre-medical Students (MAPS), the Pre-dental Society, and the Pre-Physician Assistant Society - These organizations provide opportunities for leadership, citizenship, and education through a variety of programs including a speaker series, community service opportunities, social activities including book clubs and travel to premedical/medicinal student conferences, MCAT/DAT Forum-AMCAS/AADSAS Forum, and practice interviews. PRE-LAW ADVISING: Davidson’s pre-law advisers provide guidance to students interested in pursuing law school and legal careers. Support includes one-on-one and group advising; the organization of practice LSAT exams; the opportunity to meet with law school admission representatives at Davidson’s annual law school fair; access to Davidson alumni who work in the legal field; exposure to legal issues and law school admission advice through speakers, panel discussions, and other programs on campus; and feedback on students’ law school application materials. TEACHER EDUCATION: The Educational Studies department specializes in the study of formal and non-formal educational settings and challenges students to think deeply about complex social issues and strategies for lives of leadership and service. We are committed to preparing future teachers in non-traditional ways, which matches the needs and interests of students at Davidson College. Students who desire to teach should consult with Educational Studies faculty about the various routes available to them, including alternate route certification programs, graduate school programs, and independent school teaching opportunities. For more detailed information, interested students should contact the chair of the Educational Studies department during their first or second year. ENGINEERING DUAL DEGREE PROGRAM: Believing that the liberal arts college has a contribution to make toward the education of engineers in a society faced with increasingly complex technological and human problems, Davidson has cooperative dual degree engineering programs with Columbia University in New York and Washington University in St. Louis. The student attends Davidson for three or four years and, if accepted, attends the engineering school for the last two years. Students are guaranteed admission to these two affiliated engineering schools if they complete the science and math prerequisites and achieve, for admission to Columbia, a 3.30 GPA, or, for admission to Washington University at St. Louis, a 3.25 GPA. 4. graduate from one of the cooperating schools in an approved engineering curriculum. Other 4/2 engineering options exist, which include applying to any engineering school for an M.S. or Ph.D. program or an M.B.A. program. Admission to these programs is not guaranteed. Since many of the required preparatory courses for the 3/2 path must be taken in proper sequence, it is wise, and for some schools and/or curricula essential, for a prospective 3/2 student to begin the program during the first semester at Davidson. For further information and assistance, contact the faculty 3/2 engineering adviser, Dr. Tim Gfroerer. ARMY RESERVE OFFICERS’ TRAINING CORPS (ROTC): The Army ROTC program at Davidson is designed to enhance a student’s college education by providing unique training and practical experience in leadership and management qualities that are essential to success in any career. Upon graduation from Davidson, students who have successfully completed ROTC training are awarded a commission as a second lieutenant in the U.S. Army, Army National Guard, or Army Reserve. To prepare students to become commissioned officers, the ROTC program combines college courses and leadership labs in military studies with various summer training opportunities. The military studies curriculum consists of a two-year Basic Course and a two-year Advanced Course. The Basic Course is taken during the first and second years and covers six tracks of instruction: leadership, personal development, values and ethics, officership, military tactics, and physical training. No military commitment is incurred for participation in the Basic Course. Some or all of the Basic Course requirements may be waived by the Professor of Military Studies for those who have completed Junior ROTC programs or have previous military experience. For more information see the Military Studies section under Courses of Instruction. The Advanced Course is limited to students who have completed (or have received credit for) the Basic Course and have demonstrated the leadership and scholastic potential to become a commissioned officer. The course provides instruction in advanced leadership development, military history, training management, organization and management techniques, tactics, logistics, and the military judicial system. Advanced Course students attend a 32-day Leadership Development and Assessment Course (LDAC) at Fort Knox, Kentucky during the summer between their junior and senior years. Students receive travel expenses, room and board, medical and dental care, and a stipend while attending LDAC. The Army ROTC program offers Davidson students the opportunity to participate in numerous challenging and rewarding extracurricular activities such as adventure training, social events, and community service activities. Both men and women may enroll in the program and apply for Army ROTC scholarships. High school juniors/seniors may apply for a 4-year scholarship online at www.goarmy.com before January 10th of their senior year. Current Davidson undergraduates may enroll in Military Science Courses and compete for 2 to 3-year academic scholarships. Army ROTC scholarships provide full tuition and mandatory fees, an allowance for books, and a monthly personal expense stipend. Guaranteed National Guard or Army Reserve commissions are available. Students interested in a part-time career with the National Guard or Army Reserves may apply solely for Guaranteed Reserve Forces Duty (GRFD) scholarships. A Davidson student may also participate in other military programs, including the Air Force ROTC program at UNC-Charlotte. See “Outside Resources” in the section on Admission and Financial Aid. THE CENTER FOR INTERDISCIPLINARY STUDIES: The Center for Interdisciplinary Studies (CIS) provides opportunities for students and faculty to explore topics that cross traditional disciplinary boundaries, including a route for students to complete a major that is not offered by an academic department or program. CHARLOTTE AREA EDUCATIONAL CONSORTIUM (CAEC): The Charlotte Area Educational Consortium is composed of more than 20 colleges and universities in the greater Charlotte area. Through the CAEC students taking a full course load at Davidson may, during the regular academic year, take an additional course (one not normally offered at Davidson) at no extra cost by cross-enrolling at another CAEC institution. Students must provide their own transportation to the institution at which they are cross-enrolling. Additional information is available in the Registrar’s Office. CONTRACT COURSES: Students may arrange with individual professors to initiate and take independent study courses on a contract basis during the summer. Tuition for contract courses is announced annually. Contracts are available in the Registrar’s Office. A completed and filed contract constitutes registration. DAVIDSON COLLEGE-BROUGHTON HOSPITAL SUMMER STUDY PROGRAM: During the summer, Davidson offers a one-course program in Clinical Psychology at Broughton Hospital in Morganton, NC. Students receive credit for Practicum in Psychology (Psychology 290). The program includes supervised work in the service units of the hospital. DAVIDSON-HOWARD UNIVERSITY PROGRAM: Davidson and Howard University in Washington, DC, have a cooperative arrangement that allows Davidson students to study for a year at Howard. Additional information is available in the Dean of Students Office. DAVIDSON-MOREHOUSE COLLEGE EXCHANGE PROGRAM: This program provides an opportunity for students to matriculate at an institution that is culturally and racially different from their home institution. The exchange of students is on a one-to-one basis for a semester or a year. Additional information is available in the Dean of Students Office. DAVIDSON IN WASHINGTON PROGRAM: The Political Science Department sponsors the Davidson in Washington program, an eight-week summer session of work and study in Washington, DC. Students serve as interns in Congressional offices, government agencies, or interest group offices and take part in a symposium conducted by a Davidson faculty member in residence. Students earn two course credits. The program is open to a limited number of students, with preference given to rising juniors and seniors. Participants must have a 2.5 grade point average. INDEPENDENT STUDY: Independent studies and tutorials allow students to work on topics of special interest and to design a personal course of study with the approval of a Department Chair and a faculty member who supervises the student and determines the means of evaluation. MEDICAL INTERNSHIPS: Davidson College has an institutional affiliation agreement with the Carolinas Medical Center that provides students interested in medicine or medical research with internship and independent study opportunities in a clinical hospital environment. These experiences are normally arranged through the Pre-medical Studies or Medical Humanities Programs. SCHOOL FOR FIELD STUDIES: Davidson College is affiliated with the School for Field Studies, enabling students to participate in a semester-long or month-long program studying environmental issues. Students must apply for acceptance to the School for Field Studies. The semester and summer programs concentrate on international environmental issues at one of six SFS research centers: Panama, Bhutan, Kenya and Tanzania, Australia and New Zealand, Turks and Caicos Islands, and Costa Rica. STUDENT RESEARCH OPPORTUNITIES: The Davidson Research Initiative, Abernethy Endowment, Dean Rusk International Studies Program, Kemp Scholars Program, Research In Sciences Experiences (RISE), Van Fellows in Biomedical Research, and Davidson Research Network provide students with funding for study and research projects during the summer or the academic year. Additional student summer research support is available through individual faculty who receive externally or internally funded grants that include support for student fellowships. Some research projects result in collaborative papers that are presented at professional conferences and published in scholarly journals. On-campus summer research fellows or assistants may receive a housing allowance through the grant program, or they can apply for a limited number of summer supplemental housing grants, which help defray the expense of remaining on campus for eight to ten weeks. Application guidelines and due dates for each program are announced annually and can be found on Davidson’s website. VANN CENTER FOR ETHICS: The Vann Center for Ethics sponsors a wide range of Ethics Forums on campus throughout the academic year that are open to Davidson College students, faculty, and staff, as well as the surrounding community. Guest speakers, who visit relevant Davidson classes as well as give public lectures, have included scholars from Oxford, Yale, Harvard, Stanford, Columbia, Hofstra, Notre Dame, Wake Forest, Wesleyan, Duke and other universities, corporate, nonprofitand government executives, and Pulitzer-Prize-winning journalists and playwrights. The Director of the Vann Center, who also holds the title of Professor of Applied Ethics, teaches ethics courses that satisfy distribution requirements in Philosophical and Religious Perspectives. Course offerings include Ethics and Warfare, Business Ethics, Ethics in Professional Life, and the Moral Status of Humans and Other Animals. The Director coordinates ethics-focused summer fellowships and internships at external organizations such as the Mayo Clinic and Human Rights Watch, and is also available to supervise independent study courses. The Vann Center maintains a presence on Facebook, Twitter, and other social media, and provides other resources in practical ethics at www.davidson.edu/ethics. Information Technology Services’ (ITS) mission is to work in collaboration with members of the Davidson community to facilitate the use of current and emerging information technology resources. ITS partners with faculty and educates students in all aspects of technology use. The range of systems and services provided include those that support, enrich, and transform teaching, learning, and research. The systems and services touch virtually every aspect of campus life and are central to the academic enterprise, as well as the supporting administrative processes. Davidson’s Center for Teaching and Learning (CTL) integrates teacher-focused and learner-focused services from across campus. The CTL helps students reach their highest potential by providing services to supplement the learning that occurs under direct faculty supervision, and helps faculty by providing resources to create or explore new teaching tools, to hone traditional teaching methods, and to develop new pedagogies that will challenge their students, all with the ultimate goal of improving student learning. In 2011, the first phase of the Center for Teaching and Learning was established on the first floor of the E.H. Little Library. All of the services listed below will share space in the CTL’s library location, with the exception of the Multimedia Center (Chambers South Wing, lower level). Student Assistance: The following student resources are provided by the Center for Teaching and Learning. All services are free of charge. KATHERINE AND TOM BELK VISUAL ARTS CENTER: This 43,000 square foot building, designed by the architect Graham Gund, houses classroom and laboratory facilities for painting, drawing, printmaking, sculpture, and digital arts. Art history is taught in Semans Auditoriumand a seminar room, each equipped with digital technology. The Visual Arts Center contains two public galleries and an art collection area, as well as studios and offices for faculty, the gallery director and gallery assistant, visual resource curator, lab technician, and administrative assistant. Declared majors with an emphasis in studio art may apply for one of the seven individual student studios in the building. CHARLES A. DANA SCIENCE BUILDING: The Dana Science Building contains classrooms and laboratories for instruction and research on three floors. Two floors house the Physics Department, the Physics Computation Center and the Physics Student Resource Center where there are special facilities for student-faculty research in the areas of atomic and molecular physics, condensed matter physics, laser spectroscopy, theoretical physics, and computational physics. Student laboratories are used for the study of astronomy, introductory physics, electronics, optics, and advanced physics. All labs contain networked computers. Major physics instrumentation includes a diode-pumped Nd:YAG laser coupled to a Ti-sapphire ring cavity, a pulsed frequency-doubled optical parametric oscillator and a pulsed Nd:YAG dye laser system, dual-beam optical tweezers, a 1.3-m scanning monochromator, a Fourier transform infrared spectrometer, a differential scanning calorimeter, wavemeters and spectrum analyzers, a transient capacitance spectroscopy system, liquid helium and nitrogen cryostats, a Penning ion trap, and a 2-Tesla electromagnet. This equipment is used to study alkali atoms, negative ions, cellular and molecular biophysics, semiconductors, and doped insulators. Dana also houses the Physics Student Resource Center, which contains high-end workstations for science computation. The second and third floors of the Dana Science Building house facilities for the Biology Department, including a student lounge (The BioLoft), two teaching laboratories where upper-level courses such as biochemistry, genetics, cell biology, microbiology, immunology, neurobiology, and developmental biology are taught. Student-faculty research facilities include research laboratories in genetics, immunology, conservation biology, and genomics/synthetic biology. Specialized equipment rooms support student-faculty research and house major instrumentation including a flow cytometer, DNA and RNA hybridization systems, PCR equipment, 96-well microplate reader for visible and fluorescence detection, tissue culture facilities, inverted microscopes, epifluorescence microscopes, image analysis work stations, real-time PCR machine, microarray printer and scanner, autoclave, -80ºC freezer, and growth chambers. MARTIN CHEMICAL LABORATORY: The building includes a lecture hall, a seminar room, group study space, a computer lab, six teaching laboratories, eight student-faculty research laboratories, several instrument rooms, and offices for both faculty and staff. Online access to the journals of the American Chemical Society and the Royal Society of Chemistry, as well as to Chemical Abstracts Service through SciFinder are included as part of library holdings. Major instrumentation includes a 400 MHz FT-NMR and instruments for atomic absorption, FT-IR, UV-VIS, circular dichroism, and fluorescence spectroscopy. Other instruments include an ion chromatograph, a HPLC system, a GC, a GC-MS, protein chromatography systems, several lasers, and a polarized light microscope. WATSON LIFE SCIENCES BUILDING: The four floors of the Watson Life Sciences Building house laboratories for instruction and research in Biology, Psychology, and Geology/Environmental Studies. Special facilities are available for student-faculty research and laboratory courses in the areas of developmental neurobiology, statistics, animal behavior, behavioral neuroscience, cell biology, child development, clinical psychology, conservation biology, ecology, entomology, industrial-organizational psychology, microbiology, physiology, population biology, psychopharmacology, attention and perception, social psychology, socioecology, and virology. Major instrumentation includes computer stations in all teaching laboratories, a laser-scanning confocal microscope, cryostat, PCR machines, spectrophotometers, water purification systems, incubators and growth chambers, centrifuges, phase contrast microscopes, an autoclave, a -80° freezer, ecological sampling equipment, global positioning system, computer-based physiology equipment, operant chambers, a computer-controlled radial maze, and equipment to measure motor behavior, locomotor activity, and the conditioned rewarding effects of drugs. HAMILTON HOUSE PSYCHOLOGY BUILDING: The two floors of the Hamilton House Psychology Building house laboratories for instruction and research in Psychology. Special facilities are available for student-faculty research and laboratory courses in the areas of cognitive aging, memory, reminiscence, clinical psychometrics, statistics, behavioral observation, clinical psychophysiology, industrial-organizational psychology, and organizational development. Major instrumentation includes computer stations in all teaching laboratories, controlled environments for cognitive testing, computerized stimulus presentation and experiment management, computerized digital audio and visual recording, and human computer-based psychophysiological recording equipment. MUSIC FACILITIES: The Music Department occupies the Sloan Music Center. Departmental and faculty offices, a classroom, and the Music Library are on the main level. The wing devoted to the Music Library preserves and maintains collections of music scores, reference books, videos, DVDs and CDs, and has six lab computers, two viewing stations, and a small group listening/viewing room. Tyler-Tallman Recital Hall on the upper level seats 200 and provides an intimate performance space for student recitals, lectures, and master classes. Available on the stage are two concert grand pianos: a New York Steinway “D” and a Hamburg Steinway “D,” and a two-manual Kingston Harpsichord. A spacious instrumental rehearsal room and a large choral room equipped with a Steinway “D” offer students excellent rehearsal spaces. The lower level houses piano, voice, and string studios and includes instructional spaces for string, wind, and brass teachers. A state-of-the-art recording studio suite and a digital music classroom are located here. There are six spacious practice rooms, fully soundproofed and equipped with pianos and stands, as well as a multi-functional classroom/small ensemble rehearsal space. A student lounge with lounge chairs, lab computers, and study tables sits in the center of this level. Other venues for the Music Department’s concerts are the Duke Family Performance Hall, with a drop-in acoustical shell and a Steinway “D” concert grand piano, and the sanctuary of the Davidson College Presbyterian Church, which is the site of many choral concerts and the annual Christmas Vespers Service. THEATRE FACILITIES: Main stage theatre productions take place in The Duke Family Performance Hall. The Hall is a state-of-the-art theatre with a seating capacity of 625 and a 49 lineset fly system. The second stage series is performed in the newly renovated flexible space, The Rupert T. Barber Theatre, with a seating capacity of 175, located in the Cunningham Theatre Center. Production support facilities within the Cunningham Theatre Center include a 3000 square foot scene shop with woodworking and metalworking capabilities, a paint shop with integrated spray booth, the Thomas Design Classroom with a dedicated theatrical lighting lab, a sound studio with digital recording and editing equipment, the Studio 145 Rehearsal Room with dedicated lighting and audio system, and props and costume storage. The Cunningham Theatre Center is also home to the Zuravel Green Room, which houses the Script Library, and departmental offices and production meeting spaces. The Admission and Financial Aid Committee is responsible for setting the criteria for admitting students to Davidson College. All withdrawals, voluntary or involuntary, as well as readmissions, are processed through the Office of the Dean of Students. The Schedule of Courses for each semester lists the course offerings planned at the time of the publication of the schedule. The document is not a contract; the college reserves the right to alter course offerings if enrollments or resources require. Further, the college cannot guarantee that a student will be able to enroll in any particular course. Enrollments are guided by stated course ceilings, stated prerequisites, space requirements, a random number registration priority system, and academic quality determinations. At the beginning of each academic year, the Registrar distributes procedures for Schedule Adjustment which may include a pre-semester period, periods during the first week of each semester to drop and add, and periods during the second week of each semester to drop and to add with written approval of the professor of any course to be added. A late fee is charged for courses added or dropped after the first week of the semester. After that time, a student who drops a course without special permission from the Dean of Students (for medical or psychological reasons) or the Dean of the Faculty (for specific educational reasons) receives an “F” in the course. Course credit at Davidson College is awarded based on the successful completion of learning outcomes developed by individual departments and programs. All courses are approved by the college’s faculty through a process that requires review and action by all appropriate academic programs and the recommendation of the Committee on Educational Policy. Davidson College courses (with the exception of two-credit intensive courses numbered 103) all carry one course credit. One course credit is equivalent to four semester credits. In-person contact with the course instructor is a key component required for students to meet learning outcomes at Davidson College. In accordance with the federal definition of the credit hour, one course credit at Davidson College equates to at least twelve total hours of academic work each week in a fifteen-week semester. A normal course load at Davidson College consists of four courses, which equates to sixteen semester credits and at least forty-eight total hours of academic work each week in a fifteen-week semester. Students are typically expected to engage in academic activities outside of the scheduled time in class. Depending on the nature of the course, some meet longer in person, while others include more out of class work. The expectation is that regardless of the individual design of the course, each course has a total workload of at least twelve house per week. Regular class attendance is the student’s obligation, and the student is responsible for all the work of all class meetings. A student who is absent from more than one-fourth of the course meetings scheduled by the instructor shall be assigned a grade of “F” unless the instructor specifies a different policy at the beginning of the course. Students should note that each professor has the discretion to establish the attendance policy in each class. College policies require that schedules for athletic and other college-sponsored extracurricular activities may not require any student to miss more than three MWF or two TR classes or laboratories. In addition, students may not be required to miss two consecutive regular class meetings in any course or to miss days set aside for examinations or the reading day without special permission from the Committee on Educational Policy. In the case of conflicts, class attendance shall always take precedence over other college-sponsored activities. It is the responsibility of coaches or other appropriate officials to notify students, no later than the first week of classes, of days during the semester when students will be required to miss a class and to remind students that, in case of conflict, classes have priority over non-academic events. POLICY: Students may not make audio or video recordings of classes (or other organized teaching activities, such as lab sessions) without the prior express authorization of the instructor, except in cases where Davidson College is required by law to provide for recording of a class as a reasonable accommodation for a qualified student with a disability. PURPOSE: Davidson College’s intellectual property policy (available at: http://www3.davidson.edu/cms/x4485.xml) provides that it is generally the college’s policy that intellectual property such as lecture notes and course materials shall be the property of the author or creator. However, the college has a non-exclusive, perpetual and royalty-free license to use all faculty-owned intellectual property for internal instructional and educational purposes. In keeping with this policy, Davidson College prohibits the unauthorized recording of classes. ADMINISTRATION OF POLICY: Students who wish to create an audio or video recording of a class must obtain the prior express authorization of the instructor. Qualified students with a disability should make a written request for academic accommodation to the Student Disability Resources Coordinator. The Dean of Students Office authorizes academic accommodations and will send written notifications to instructors that the student is authorized to make audio or video recordings of class. 4. Students will destroy all recordings at the end of the course. Nothing in this policy prohibits an instructor from agreeing to alternate conditions of use; however, a student must obtain the prior express authorization of the instructor to use a recording in any manner not permitted by this policy. Making an audio or video recording of a class without the prior express authorization of the instructor or the Dean of Students Office is a violation of the Honor Code. Violating the conditions of use set forth in this policy (or otherwise authorized by the instructor) is a violation of the Code of Responsibility. Suggested syllabus language for faculty who wish to prohibit recording: Davidson College policy prohibits audio/video recording of classes by students without permission of the instructor. You may not record class sessions or portions thereof unless the Dean of Students has authorized recording as an academic accommodation for a qualified student with a disability and has notified me of that authorization. All such recordings are for the sole use of the individual student and may not be reproduced, sold, posted online, or otherwise distributed. Suggested syllabus language for faculty who wish to allow recording: While Davidson College policy prohibits audio and video recording of classes by students without permission of the instructor, I grant permission for all students in this class to make recordings. This statement gives permission only to record me during class time. It does not imply authorization to record other class members. Authorized recordings are for the sole use of the individual student and may not be reproduced, sold, posted online, or otherwise distributed. Suggested syllabus language for faculty who wish to allow recording on a case-by-case basis: Davidson College policy prohibits audio and video recording of classes by students without permission of the instructor. I will consider permission requests on a case-by-case basis. For students with a disability, permission will always be granted when the accommodations authorized by the Dean of Students Office include recording. Authorized recordings are for the sole use of the individual student and may not be reproduced, sold, posted online, or otherwise distributed. There is no percentage-based institutional numerical standard or equivalent for the grades issued by individual faculty members. Incomplete; student has not completed final work. Pass or Fail for course taken on a Pass/Fail basis; to earn a Pass, the student must perform at the level of “C-” or above. See the Academic Regulations for additional P/F information. Laboratory-ungraded; no separate credit is awarded for a laboratory. Authorized Withdrawal approved by the Dean of Students or the Dean of the Faculty. Ungraded credit; credit transferred from another. No grade received from the professor. The Registrar evaluates all transfer credit. The host college must be accredited for a “liberal arts and general” program or analogously accredited in countries outside the United States. The course must be consistent with the academic objectives of Davidson College. In order to receive credit, the student must earn the grade of “C-” or higher. Transfer credit assigned at Davidson is on an ungraded basis (UG) and is not used in computing the grade point average. Transfer credit is limited to 16 courses (or no more than one-half of the courses for graduation) and no more than one-half of the courses used to satisfy major requirements. Individual departments may employ additional restrictions. Other guidelines for transfer credit may apply: further details may be found on the “Authorization to Transfer Credit” form in the Registrar’s Office and in the Academic Regulations. The ultimate expression of Davidson’s Honor Code is the self-scheduling of semester examinations for most classes. The academic calendar provides eleven or twelve three-hour examination periods at the end of each semester during which students may take examinations on a self-scheduled basis. The Honor Council, the Student Government Association, and the Office of the Registrar administer self-scheduled exams. 1) The right to inspect and review your education records (with certain limited exceptions) within 45 days of the day Davidson College receives your request for access. You should submit any such request to the Registrar’s Office in writing, identifying the records you wish to inspect. The Registrar’s Office will make arrangements for access and notify you of the time and place where the records may be inspected. Records that are customarily open for student inspection will be accessible without written request. 3) The right to consent to disclosures of personally identifiable information contained in your education records, except to the extent that FERPA authorizes disclosure without consent. One such exception permits disclosure to “school officials” with “legitimate educational interests.” A “school official” is any person employed by Davidson College in any administrative, supervisory, academic or research, or support staff position (including public safety and student health services staff); any person or company with whom Davidson College has contracted to provide a service to or on behalf of Davidson College (such as an attorney, auditor, or collection agent); any person serving on Davidson’s Board of Trustees; or any student serving on an official committee, such as a disciplinary or grievance committee, or assisting another school official in performing his or her tasks. A school official has a “legitimate educational interest” if the official needs to review an education record in order to fulfill the official’s professional responsibility. Another such exception permits Davidson College to disclose your “directory information,” consisting of your name; local, home, and e-mail addresses; local, home, and mobile telephone number; major field of study (to include minors and interdisciplinary minors); enrollment status and class; dates of attendance; anticipated degree and degree date; degrees, honors, and awards received; participation in officially recognized activities and sports; most recent educational agency or institution attended; photographs and videos; eating house affiliation; and weight and height of members of athletic teams, to anyone within the Davidson College community and to the general public. Students who wish to have their directory information withheld must notify the Registrar’s Office in writing. (Please note that such a notification will prevent Davidson College from providing your directory information to your friends, prospective employers, and others with whom you may wish us to share such information, so make your decision carefully.) You may give such notification at any time, but it will be effective only prospectively. Students who do not wish to have their address (or other information) published in the student directory must notify the Registrar’s Office annually by no later than seven days after the beginning of classes. Upon request, Davidson College also discloses education records without consent to officials of another school in which a student seeks or intends to enroll or where the student is already enrolled so long as the disclosure is for purposes related to the student’s enrollment or transfer. Information on other such exceptions is available through the Registrar’s Office. 4) The right to file a complaint with the U.S. Department of Education concerning alleged failures by Davidson College to comply with the requirements of FERPA. The name and address of the office that administers FERPA is: Family Policy Compliance Office, U.S. Department of Education, 400 Maryland Avenue, SW, Washington, DC 20202-4605.